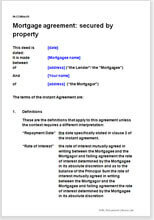 Use this template to create a Memorandum of Understanding between any two parties agreed to settle a pending dispute outside the court; where the matter generally relates to money recovery. The format is fit to be filed before the Court as written agreement reached between the parties. There are no specific legal provisions that govern a legal document of this nature; you have the liberty to make alterations and additions that suit your specific requirements. Practical terms that protect both parties from future disputes.